Clefford was born with a cleft palate, and ended up on the streets with his family after they became homeless. 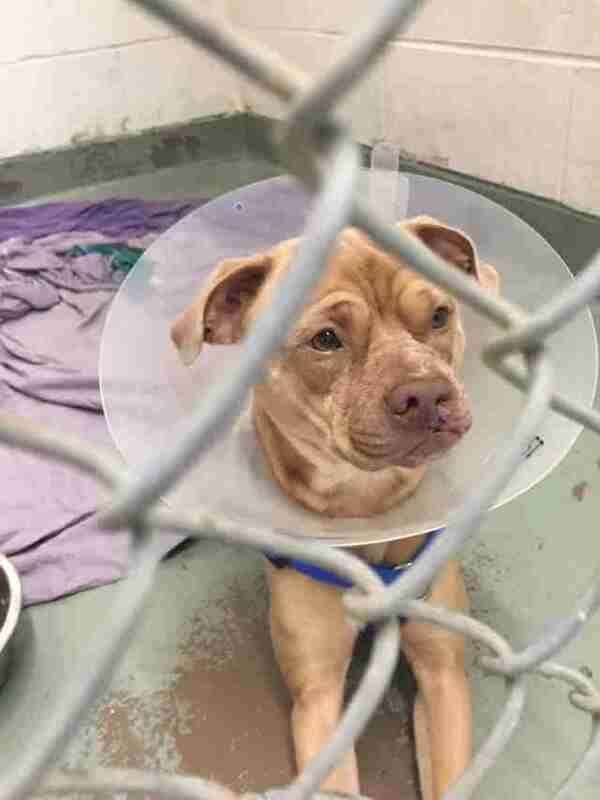 They did not have the means to get him the care and treatment he so desperately needed, and eventually they decided that the best thing to do would be to surrender Clefford to a shelter or rescue that could help give him the life he deserved. It was a heartbreaking decision, but his family brought him to Angell Animal Medical Center in the Boston area, and he was soon put up for adoption through MSPCA-Angell. 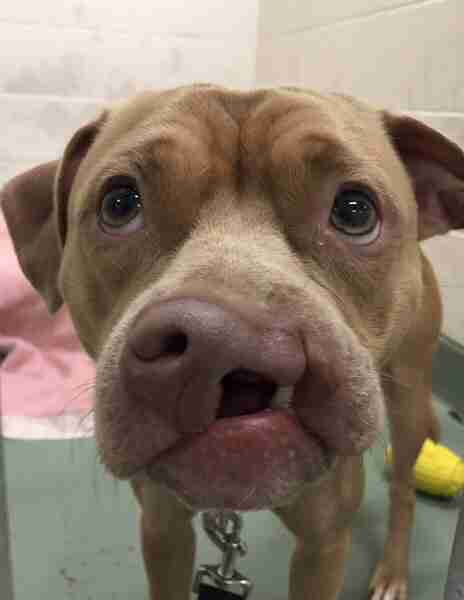 Due to his cleft palate, Clefford couldn’t eat regular kibble and needed special food so that he wouldn’t hurt himself, but that never seemed to get his spirits down. 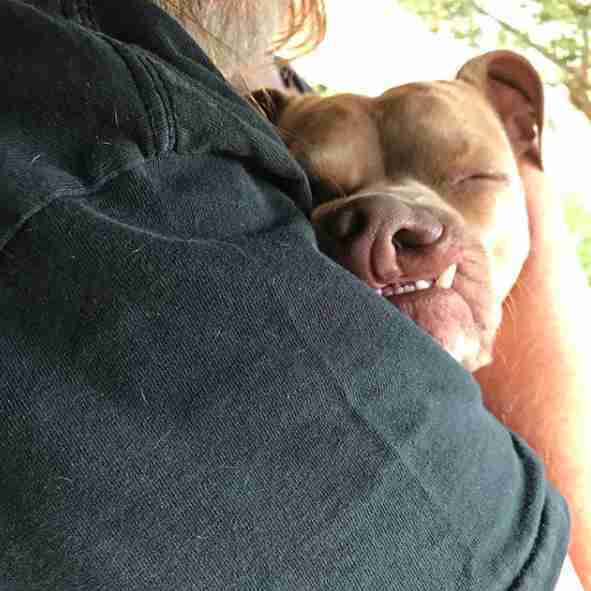 He remained sweet and positive throughout his stay at the rescue, and very quickly became a staff and volunteer favorite — which is eventually how he found his new dad. 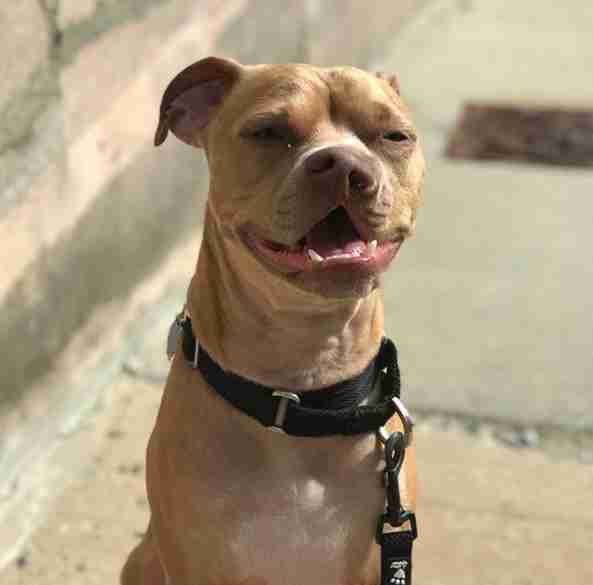 Will Stoltenberg had been volunteering with the rescue for about a year when Clefford was brought in, and from the moment he met Clefford, he absolutely fell in love with him. He began spending as much time with Clefford as he could, and after a while, he realized that Clefford was meant to be his dog. When Stoltenberg first brought Clefford home, he realized that Clefford’s tumultuous life had unfortunately made the sweet dog scared of almost everything. Cars, skateboards, women, motorcycles, vans, runners, other dogs — Clefford was scared of all of them. His dad was patient with him, though, and over time, he taught Clefford that the world isn’t as scary as he thought it was. Now, over a year later, Clefford loves going for walks and greeting everyone and everything he passes. He’s transformed into a completely different dog, and has even overcome some of his physical challenges as well. After four surgeries and lots of care and rest, Clefford’s cleft palate has shrunk down to just a tiny hole in the roof of his mouth. He still looks a little different from most dogs, with his twisted nose and the fact that his teeth are always showing, and sometimes people get a little nervous around him because of these things. The more time they spend with him, though, the more they realize he’s the sweetest, friendliest dog around, and that he doesn’t have a mean or scary bone in his entire body. 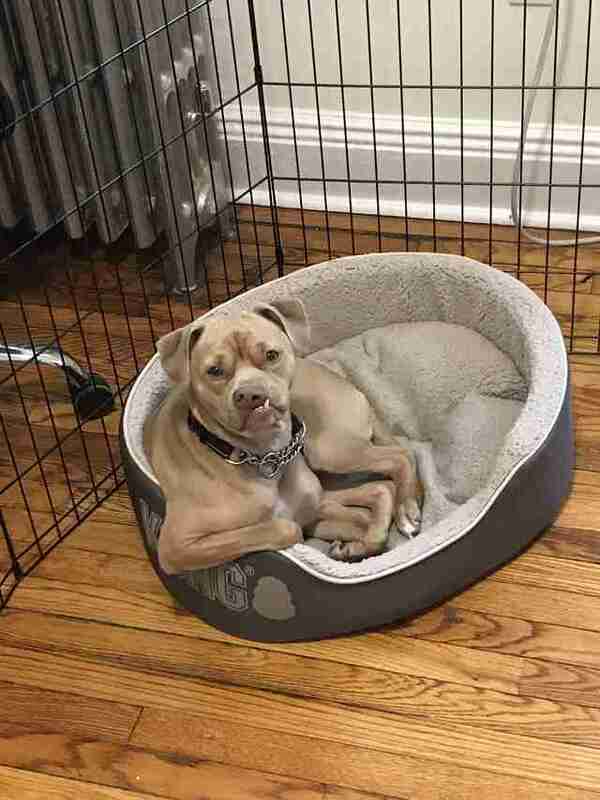 Clefford may look a little different than most dogs, but that hasn’t slowed him down in the least. 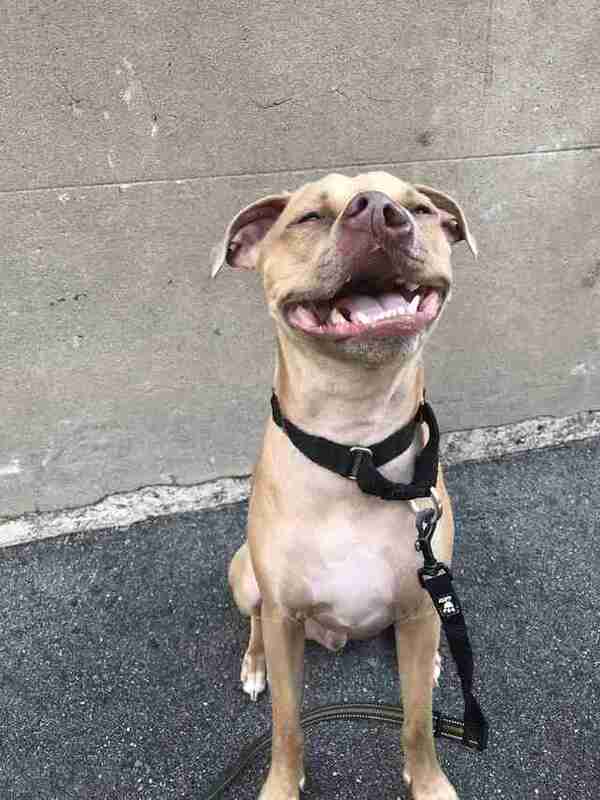 He’s just a goofy, loving dog who wants nothing more than to be around the people he loves at all times, and he seems so grateful to his dad for giving him a second chance at life. You can follow Clefford and all of his adventures on his Instagram account.